The stately, brick building at the corner of Shafer and State Streets has long been known by Athens residents as a focal point of the city’s west side. Now, more than a century after being first built, local officials have prepared a historic designation in its honor. An ordinance was read at a recent Athens City Council meeting designating the property, located at 21 N. Shafer St., as a local historic building. 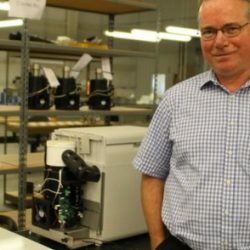 Stewart-MacDonald Manufacturing Co., which has been located there for decades, purchased the building earlier this year. The company is a mail-order business that sells supplies and related items for guitars and other stringed instruments. The Athens County Economic Development Council, which has been supporting the new designation, submitted a historical narrative to council to help spur the ordinance. Sara Marrs-Maxfield, executive director of the economic development council, said that StewMac plans to renovate so as to utilize the whole 4-story building. Marrs-Maxfield noted the cost of building an entirely new building outside the city limits of Athens would be less expensive than a full renovation, sparking the need for a historic designation to offset some of these costs. “We would rather see an old building like that renovated and in full re-use before building outside of the city,” she said. The building at 21 N. Shafer was originally built in 1906 for use by a local businessman, Frank Stedman. He owned a wholesale grocery business as well as the Stedman Packing Co., which operated out of 340 W. State Street (now the Ohio University Innovation Center). By the early 1920s, the grocery business had been purchased by the C.D. Shafer Company, which some local historians speculate is the namesake of Shafer Street. The building was later utilized by McBee’s, a specialty printing services building. He also noted that other historic buildings in town have been destroyed, including two Athens Brick Company houses on Stimson Avenue just last week. Those buildings were demolished to make way for an office building. 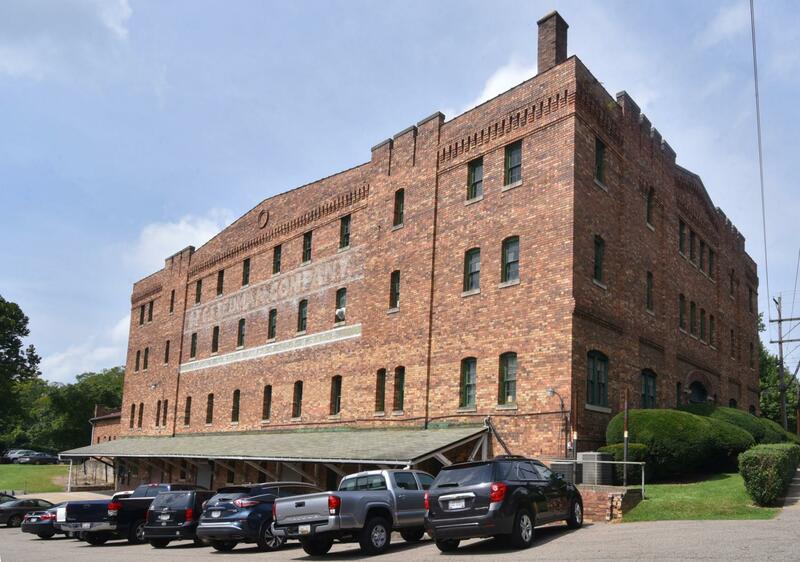 He noted that being on the national register can grant the business located within tax breaks for maintaining the building, and may allow the business to apply for grants. “In my opinion, StewMac should be congratulated for their foresight and long term planning by maintaining an historic building,” Moore said. Mayor Steve Patterson noted that the building is also within one of the downtown redevelopment districts (DRDs) within the city.